Expect a lot of infrastructure projects in the next 6 years as the current administration plans to increase spending, paving the way for a "golden age of infrastructure" up to 2022. Budget Secretary Benjamin E. Diokno said that several infrastructure projects will be launched in all regions, "simultaneously". 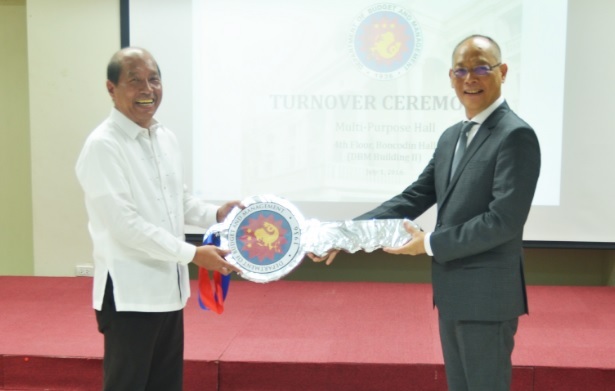 Diokno reiterated that the infrastructure development in the country has be fast-tracked. The current administration is eyeing non-stop 24/7 construction work especially on projects located in urban areas. He also said that close to P900 billion will be spent on public infrastructure next year. The alloted budget for infrastructure represents a pretty big chunk of the P3.35 trillion budget for 2017 that the Department of Budget and Management (DBM) plans to submit to Congress. Infrastructure spending will be hiked from 5.2 percent of the gross domestic product (GDP) next year to 7 percent of GDP by the end of Duterte's term. What infrastructure projects can the public expect from this multibillion allotment? The present administration has always said that they will be focusing on trains for more efficient mass transportation in the country. Diokno subscribes to this view and said that around three or four more railway lines are needed for commuters in Metro Manila alone. Aside from railways, additional airports will also be built. Of course, that's only for starters. Duterte himself wants a highway that will connect Makati to Clark. The new administration will probably dazzle Filipinos with more infrastructure projects soon. Remember, P 900 billion is quite a big number to burn. All in all, it's good news that the budget department is prioritizing infrastructure in the next few years. If the current administration sticks with its plans and keeps its promises, Filipinos should feel the benefits from improved infrastructure in the next few years.